Beat This Caption Contest 123 Winner – Caption Contest Funny Clever Witty Enter Today! 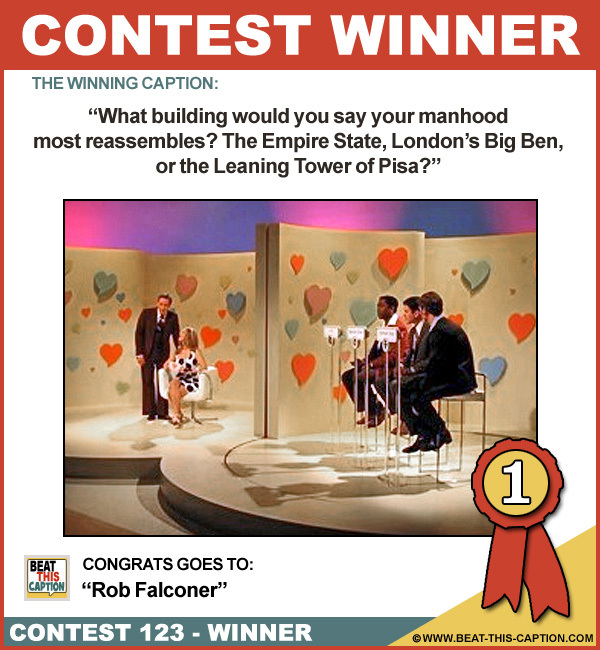 What building would you say your manhood most reassembles? The Empire State, London’s Big Ben, or the Leaning Tower of Pisa? Bachelor number two, would you please come out and meet, whore #1! What size is your pickle?